Efforts to block Tuesday's planned the prisoner-release deal between Israel and Hamas were rejected late Monday by Israel's High Court of Justice. The court found it did not have the authority to stop such government action, clearing the way for Israeli soldier Gilad Schalit's freedom, in exchange for more than 1,000 imprisoned terrorists, including planners of attacks which killed scores of innocent people. Schalit, kidnapped in June 2006, and 477 Palestinian prisoners are scheduled to go free Tuesday. Israel – bracing for the likelihood that some terrorists it plans to release will return to the battlefield – is warning it will target newly released security prisoners who engage in terrorist activities. Prime Minister Benjamin Netanyahu sent a letter to victims' families who opposed the deal on Monday, expressing empathy for their concerns. But he said this was outweighed "by the responsibility of the Prime Minister of Israel to bring home every soldier who is sent to protect our citizens." Public-opinion polls show considerable popular support for the Schalit deal, with 79 percent of respondents to a Yediot Ahronot poll backing it. Even so, Israelis could have second thoughts as they see some of the names on the list of militants scheduled to be released. They include Musab Hashlemon, a Hamas operative from Hebron, who received 17 life sentences for his role in facilitating a 2004 double suicide attack in Hebron. Sixteen civilians were murdered when suicide bombers dispatched by Hashlemon detonated themselves on two city buses. In January 2004, Hashlemon – at the time a minor Hamas operative –was released in a prisoner exchange between Israel and Hizballah. He will be deported to Hamas-ruled Gaza. Also on the list is Nasser Yataima, involved in planning the March 2002 suicide attack on a Seder at the Park Hotel in Netanya, in which 30 people were killed and 140 wounded. Another is Abd al-Aziz Salaha, who participated in the October 2000 lynching of two IDF reservists who mistakenly drove into a mob of Palestinians in Ramallah. 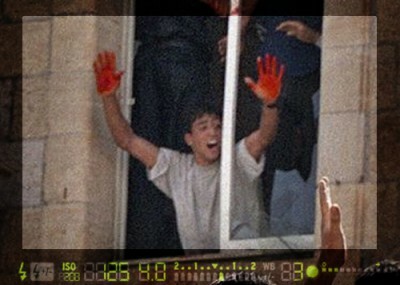 Salaha was photographed holding his blood-soaked hands out of the window. Ahlam Tamimi, a female Hamas terrorist convicted of participating in the August 2001 bombing of a Sbarro's pizzeria in Jerusalem in which 15 people were killed and 130 wounded. She has previously declared that she does not regret her role in the massacre. Ibrahim Jundiya, who sent a suicide bomber to blow up a bus in Jerusalem in 2002, killing 11 people, will be deported to Hamas-ruled Gaza, as will Fadi Muhammad al-Jabaa, who plotted the 2003 suicide bombing of a Haifa bus, where 17 passengers were killed. Walid Aqel, who founded Hamas' military wing, the Izzedin al-Qassam Military Brigades, in the 1990s, will be released from prison and sent to Turkey. During negotiations on the prisoner swap, Hamas refused to agree to stop attacking Israelis and declared its intention to kidnap more Israeli soldiers. It is unclear what – if any – supervision will exist to prevent terrorists exchanged for Schalit from engaging in jihad. Many will be sent to Hamas-ruled Gaza, and others will be exiled to countries like Syria, Turkey and Qatar – all of which have a history of close relations with Hamas. Monitoring of the former detainees will be minimal, with Hamas officials stating that their status will be discussed at annual meetings involving Israel and Egypt. Hamas plans to celebrate the Schalit deal when many of the imprisoned terrorists return to Gaza. The former prisoners will meet with Hamas Prime Minister Ismail Haniyeh, government ministers, and members of the Palestinian Legislative Council. One of those slated to return to Gaza is Muhammad Zufi, who helped Schalit's abductors film the kidnapping. He was serving four life sentences in Israel for his terrorist activities. In the West Bank, the freed militants are to be welcomed home by PA President Mahmoud Abbas and will lay wreaths on Yasser Arafat's grave. The news is being cheered by Hamas supporters around the world, including in the United States. American Muslims for Palestine [AMP] hailed the release of those they called "political prisoners," from Israel's prisons. "Palestinian political prisoners are a byproduct of occupation, which is the source of all injustice and instability in the region," said AMP Chairman Hatem Bazian. "International laws guarantee all people the right to resist their occupation and to see their own freedom and self-determination." "AMP stands in solidarity with Palestinian political prisoners," the group's statement also noted. "We continue to call on Congress to pressure Israel to release all political prisoners." Hamas' patrons in Tehran also welcomed the terrorists' release as a victory. Iranian President Mahmoud Ahmadinejad called the swap "clearly a great victory for the Palestinian nation and for all freedom and justice fans in the world."